Quality is the prime concern of OSS. 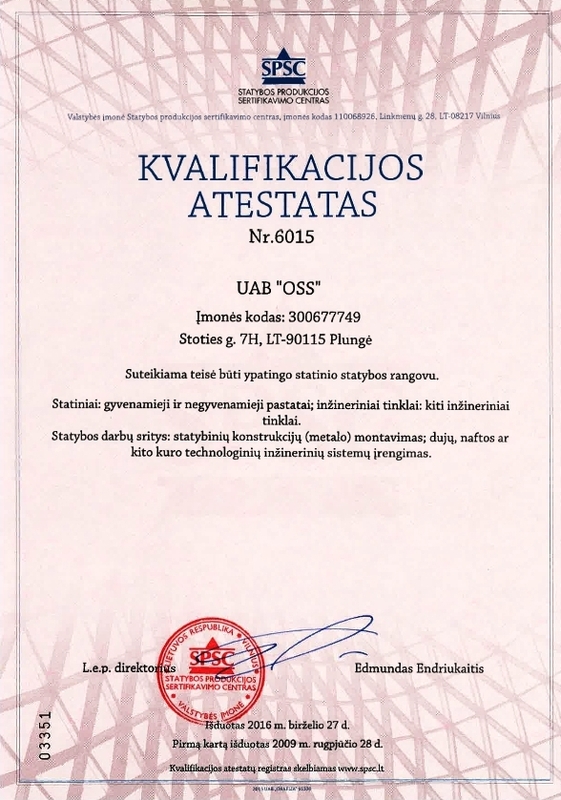 Therefore, the company implements international standards in regulating our activities. 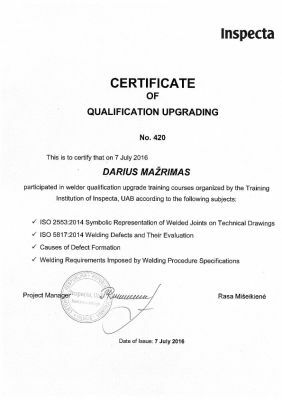 Our employees constantly improve their qualifications in various training courses. 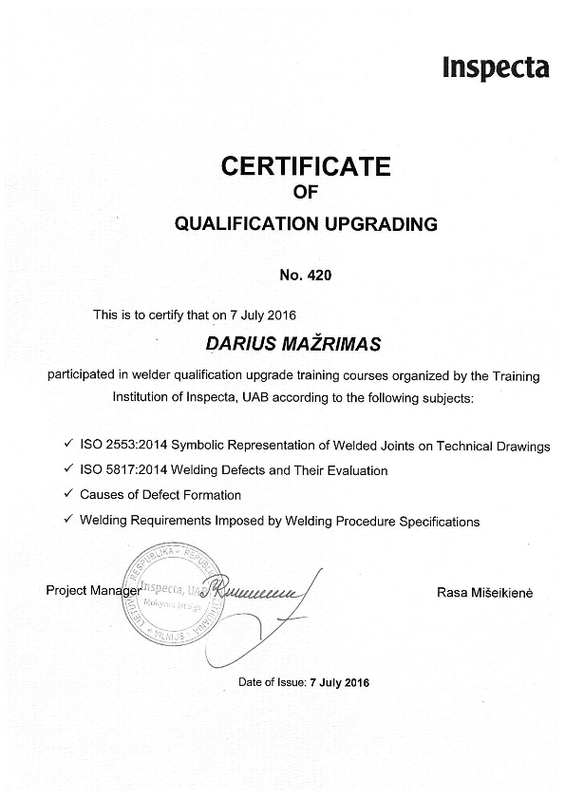 We are well aware that we can only provide value to our customers if we follow the highest quality standards. 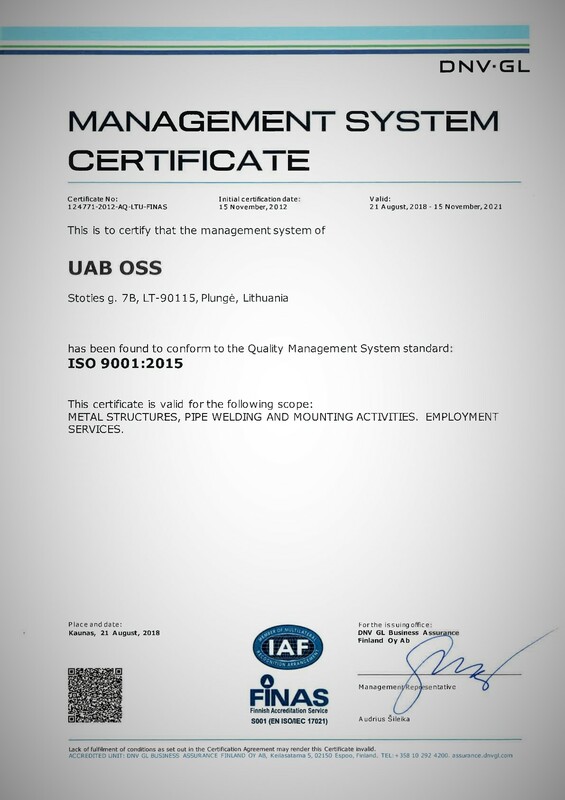 The ISO 9001:2015 certificate demonstrates the organization’s commitment to ensure quality and customer satisfaction. 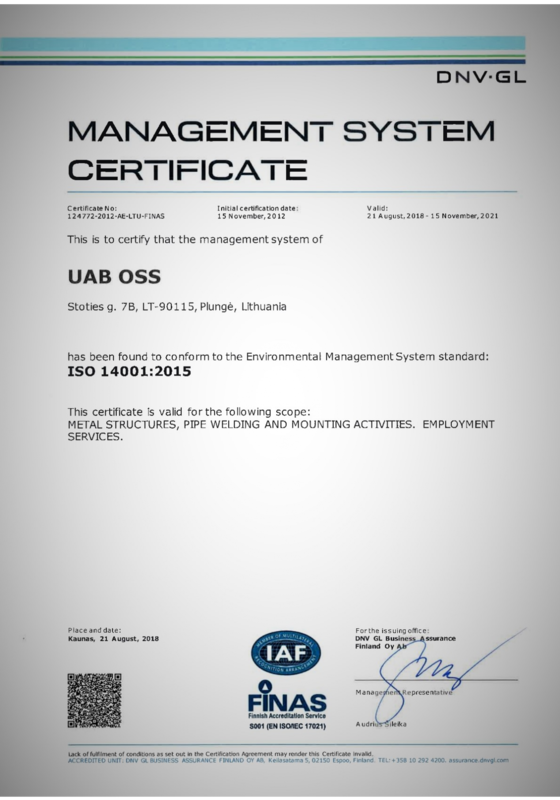 The ISO 14001:2015 standard specifies the most important requirements for the environmental aspects of identification, monitoring and management, as well as improvement of the entire system. 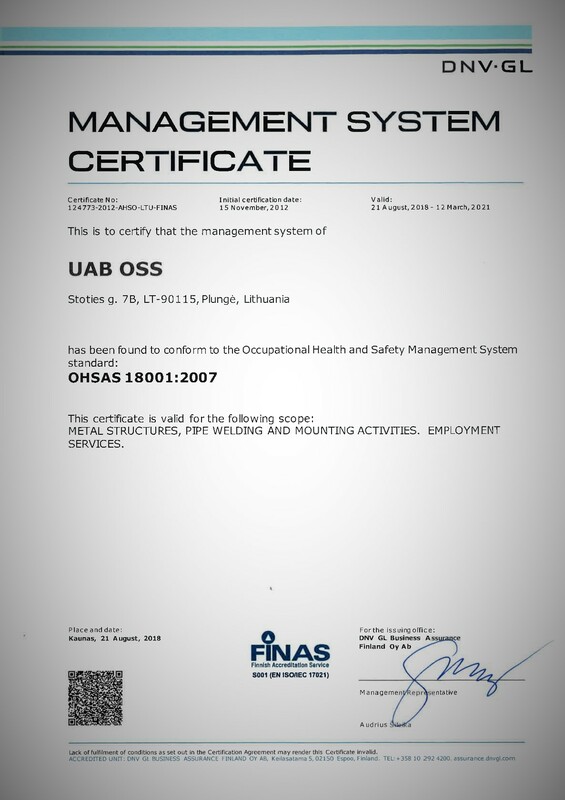 The OHSAS 18001:2007 is intended to ensure occupational health and safety, reduce the likelihood of accidents at work and occupational morbidity. 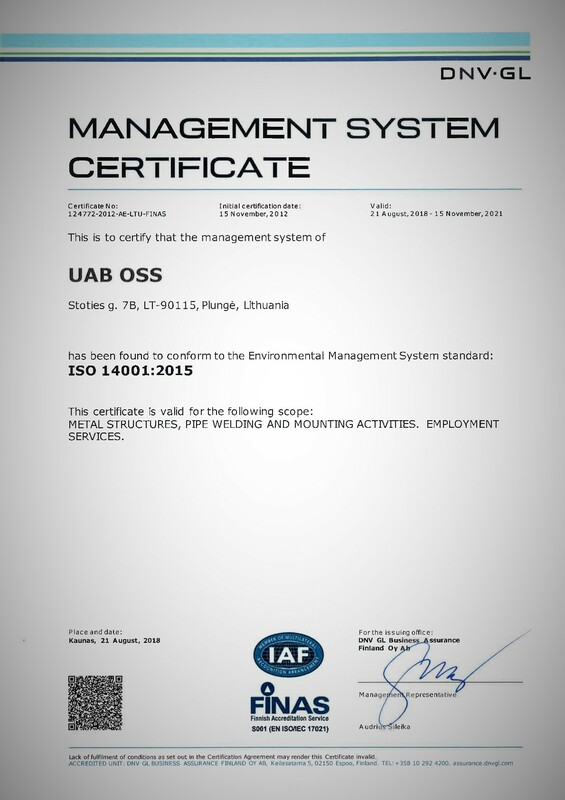 The standard requirements enable us to identify and manage the risk related to our normal operations or unusual situations and to constantly improve our risk management. 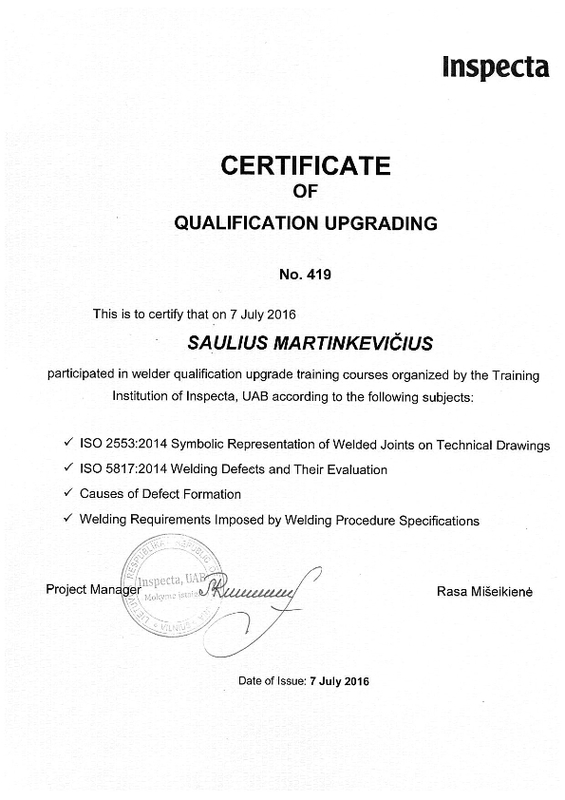 We have received the right to be a contractor for the construction of special buildings. Buildings: residential and non-residential buildings; engineering networks: other engineering networks. Construction work areas: installation of building (metal) constructions as well as technological engineering systems for gas, oil and other fuels. 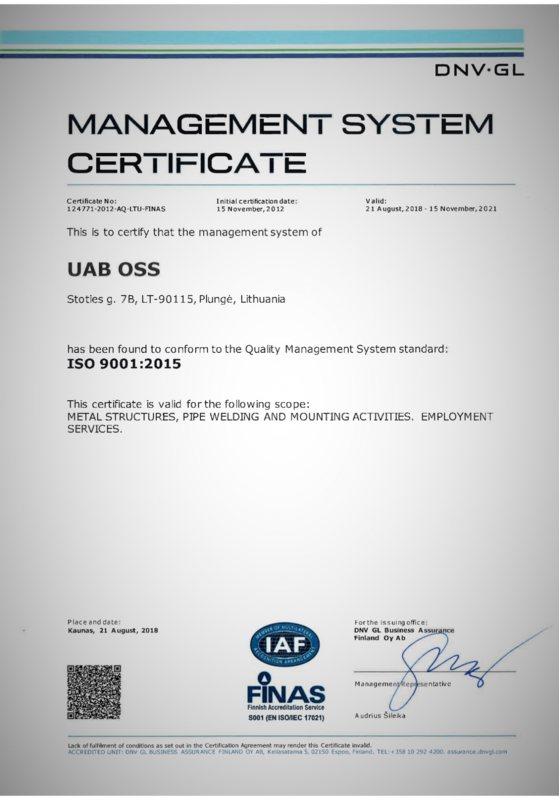 Certificates supporting the service quality of workers at height or workers hanging loads, etc. 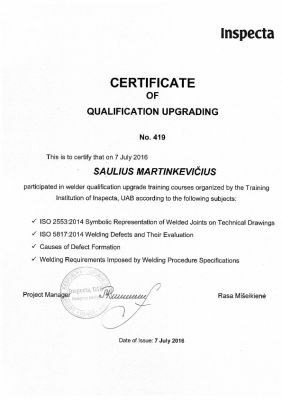 Welders are certified according to EN ISO 9606-1:2013 (Qualification testing of welders performing fusion welding) and PED97/23/EC (safe use of pressure equipment during installation, use or repair. 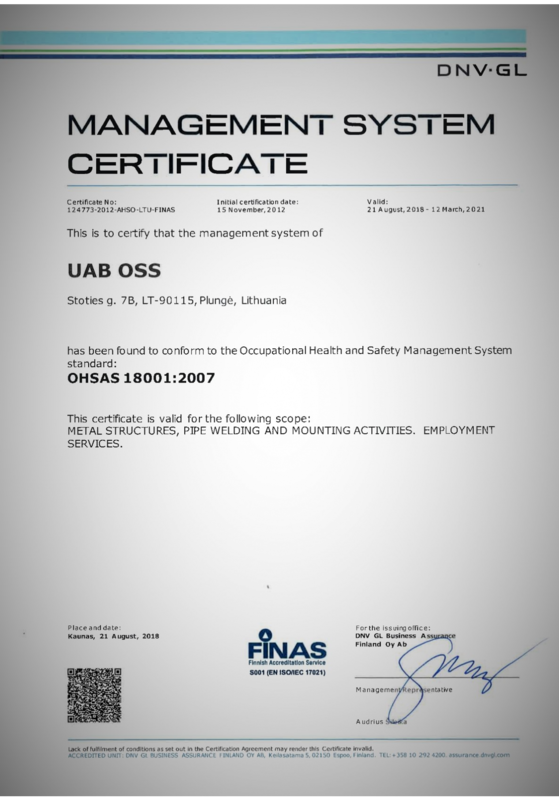 Our aim is to avoid risk to health and work safety, which would directly affect people, animals or property) standards. 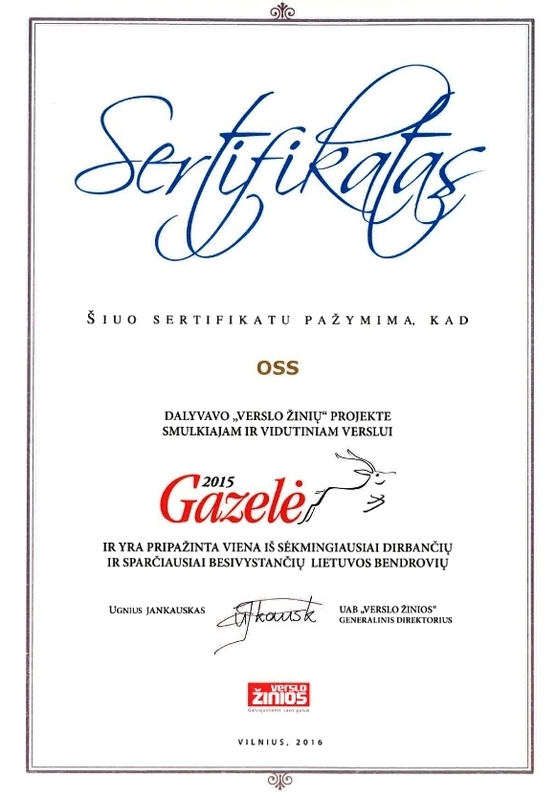 In 2015, we participated in the Verslo žinios Gazelė 2015 project for small and medium-sized businesses, and were recognised as one of the most successful and fastest growing companies in Lithuania. 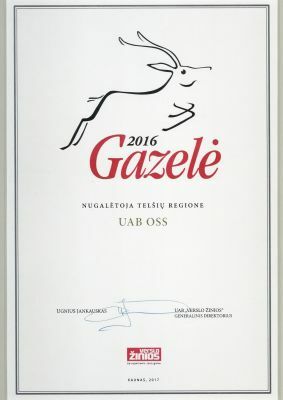 In 2016 in the Verslo žinios Gazelė 2016 project we were awarded as the winner of Telšiai region. 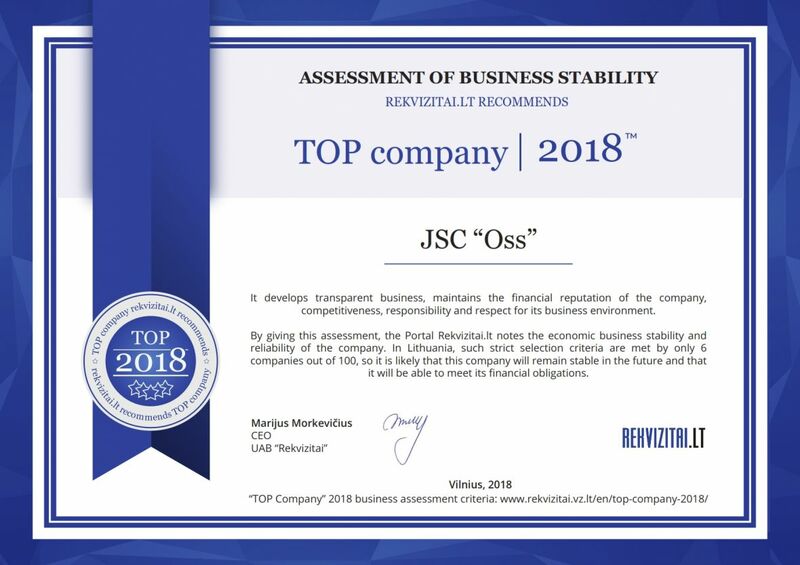 In 2018 the Portal Rekvizitai.lt evaluated UAB OSS' business stability and reliability. 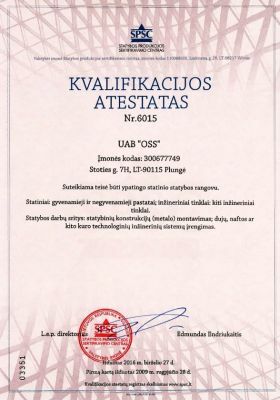 In Lithuania, such strict selection criteria are met by only 6 companies out of 100.